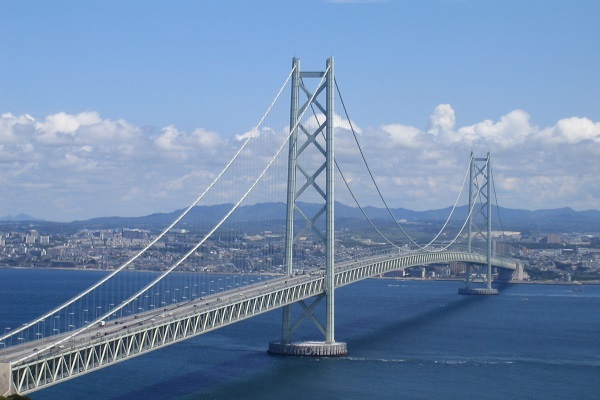 Enjoy the top of the Bridge, the LONGEST BRIDGE in the world! 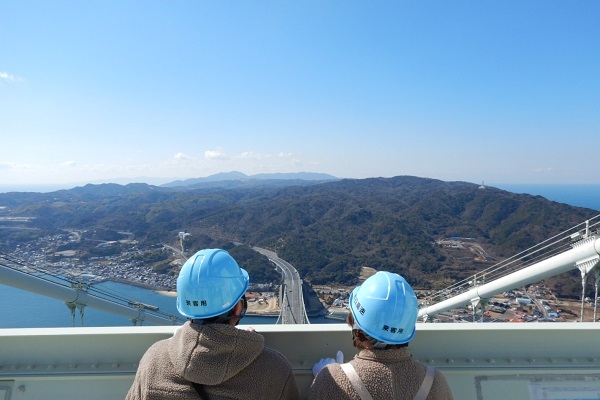 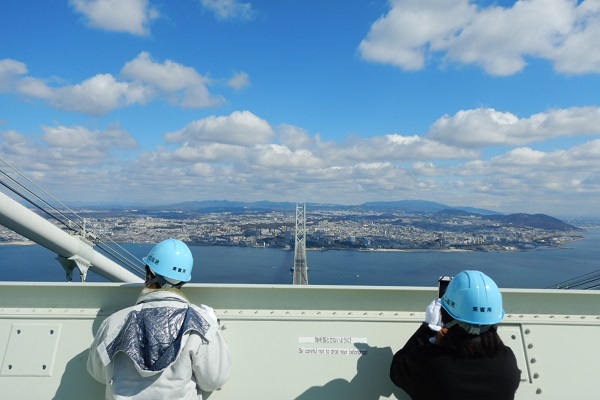 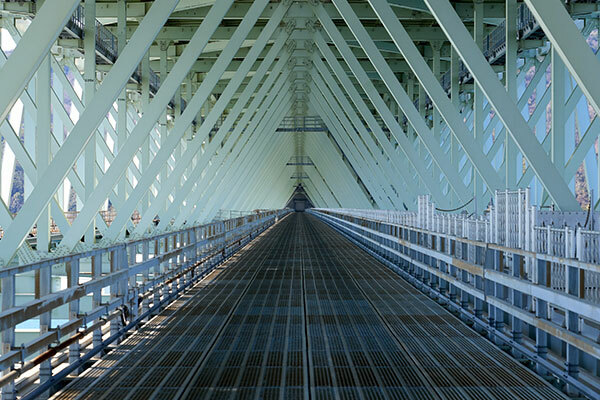 “Bridge World for Akashi-Kaikyo Bridge” is an attractive tour to the top of the Bridge, 300m over the sea, and you can enjoy the panoramic view from the top. 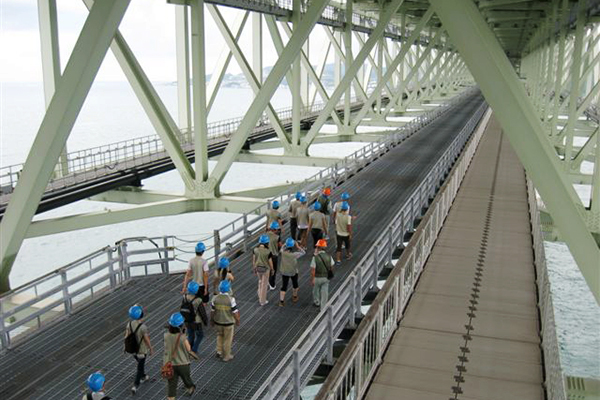 During the tour walking on the maintenance path, a leader who was involved in the construction work of the Bridge gives you the information on its history and technology.